Amazon returned 14 Million percent to its original investors since inception. A group including family and friends each got 1 per cent of Bezos’ firm in return for US$50,000 – and an astonishing 14 million per cent return now makes each of those original shares worth US$7bn. He failed to convince 38 of them, and 24 years later some of them still cannot bring themselves to talk about what life might have been like if they had taken a punt on Bezos and this “Amazon thing” that the then 30-year-old hedge fund manager wouldn’t shut up about. The biggest winners from investing early in Bezos’s idea were his parents, Mike and Jackie Bezos, who pumped in US$300,000 in return for 6 per cent of the company, which sold its first book – about artificial intelligence – in July 1995. “It couldn’t happen to two nicer people,” Bezos says of his parents’ windfall. 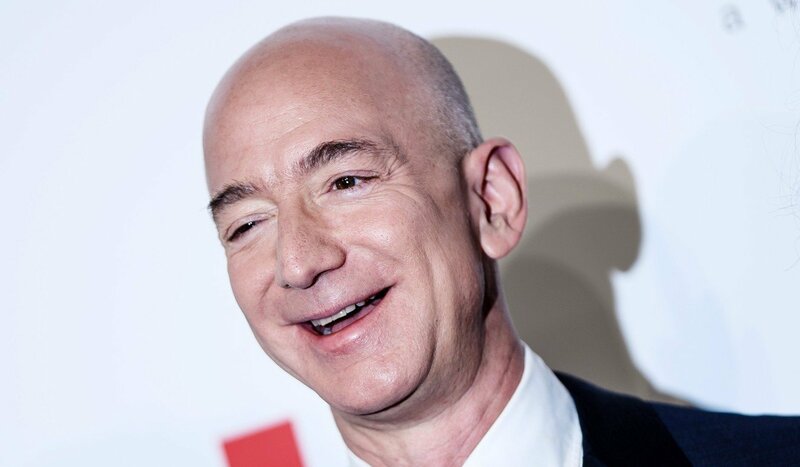 he biggest winner of all though, has been Bezos himself. 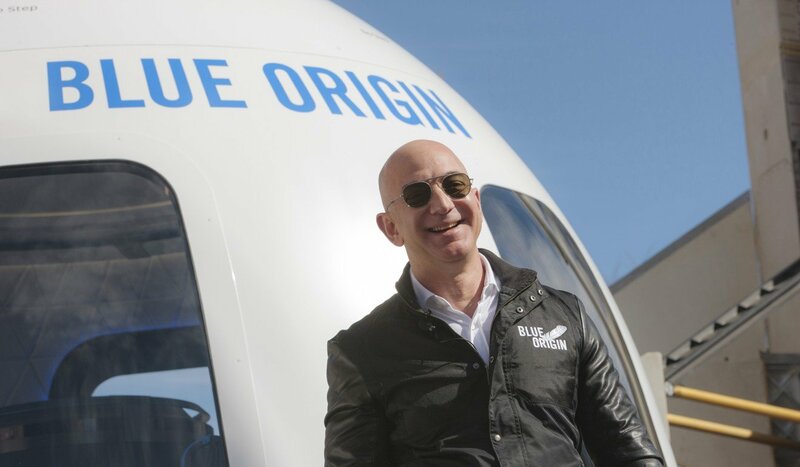 He still owns 16 per cent of Amazon, which in the past year has helped make him the richest person in the world with a net worth of US$130billion. He has enough wealth to cover Britain’s budget deficit twice over and still have change. His fortune has been rising fast, up some 30 per cent since the start of the year, according to the Bloomberg Billionaires Index. Many industry experts reckon Amazon – which has spread its tentacles into webhosting, TV production and high-end grocery chain Whole Foods – is growing so fast that it will overtake Apple, (Alphabet) Google and Microsoft to become the first trillion-dollar company. Amazon has a market value of $750 billion – at Monday night’s share price – making it nearly three times the size of Walmart. Bezos has been very, very rich for a long time, but he has only recently started to really spend his billions. In 1999, when he was already worth more than US$9billion, Bezos and his wife, MacKenzie, were still living in the one-bedroom apartment in Seattle they had rented when they moved to the city to set up Amazon five years earlier. That year the couple bought their first big house, a US$10 million mansion on Lake Washington, in the city’s fanciest neighbourhood. Today, however, Bezos owns almost a dozen homes across the US, and is the country’s 25th-largest landowner, according to the Land Report, a magazine that tracks US land ownership. He owns a string of properties on Lake Washington; two neighbouring homes in Beverly Hills, California, worth $12.9m and $24.4m; four linked apartments in a landmark tower on Manhattan’s Central Park West [worth about $40m]; a former museum in Washington DC that cost him $23m and is being converted into the city’s largest private residence; and a 300,000-acre ranch in Texas. He also bought The Washington Post for $250m in 2013. He has made his first tentative steps into giving away a fraction of his fortune, but Bezos seriously lags behind his technology billionaire contemporaries in philanthropy. Bezos would still be the world’s second-richest man if Microsoft founder Bill Gates had not given away more than US$36 billion. Gates, along with Facebook’s Mark Zuckerberg, Netflix’s Reed Hastings and dozens of the world’s other billionaires have signed up to the Giving Pledge commitment to give away at least half of their fortunes. So far, however, Bezos has not joined up. After being questioned about his apparent reluctance, he tweeted a request for ideas for a “philanthropy strategy”. Last year, he tweeted to thank his 400,000 followers for their input and promised “more to come”. Bezos made his first big donation earlier this year: a US$33 million grant to a scholarship fund for undocumented immigrants who were brought to the US as children. Bezos, whom Trump has repeatedly attacked for avoiding tax at Amazon, did not acknowledge the politics of his Dreamers donation. He said the gift was in recognition of the help given to his father, who was one of 14,000 students who fled to the US from Cuba in the early 60s. This story represents what we are trying to create with Pre IPO Swap – we want to get in at the right time (not too early and not too late). If you’d like to keep in touch with us feel free to contact us. This entry was posted in Industry News, Success Stories and tagged amazon, billionaire, great stories, jeff bezos, net worth. Bookmark the permalink.